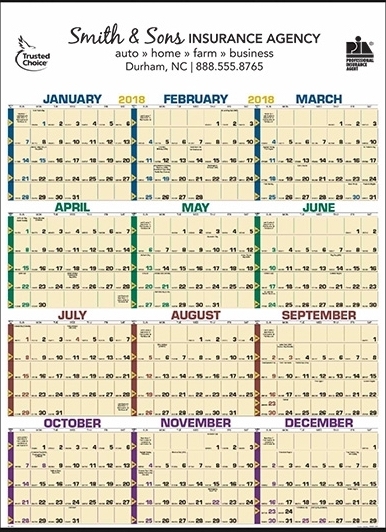 This single sheet business wall calendar is divided into four color-keyed quarters. It has tinned tops and bottoms for added durability, and a non-laminated surface. Contact Customer Service for special quote on laminated surface.